After a short hiatus (mostly due to holidays, and family vacation in Portugal) we’re back to whisky business. 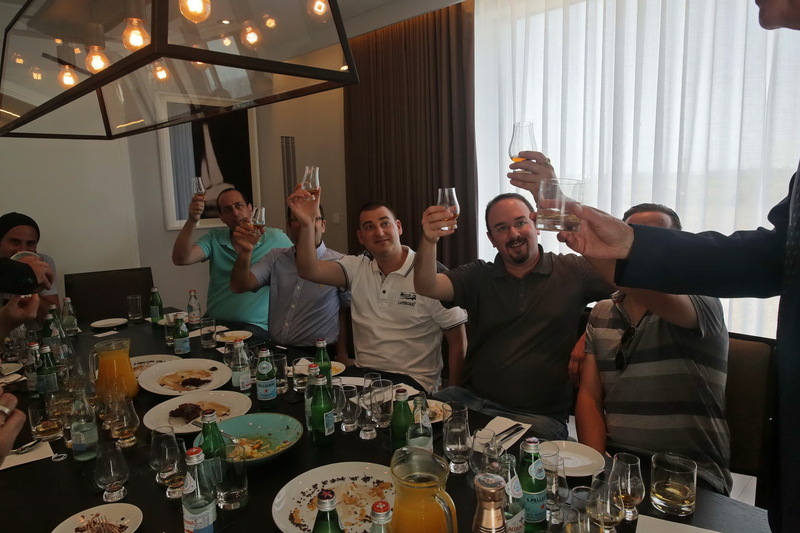 I’ve been meaning to write this post for some time now, having attended this event in mid September..
Chivas Ultis is not a new release, but has only arrived in the Israeli market recently. 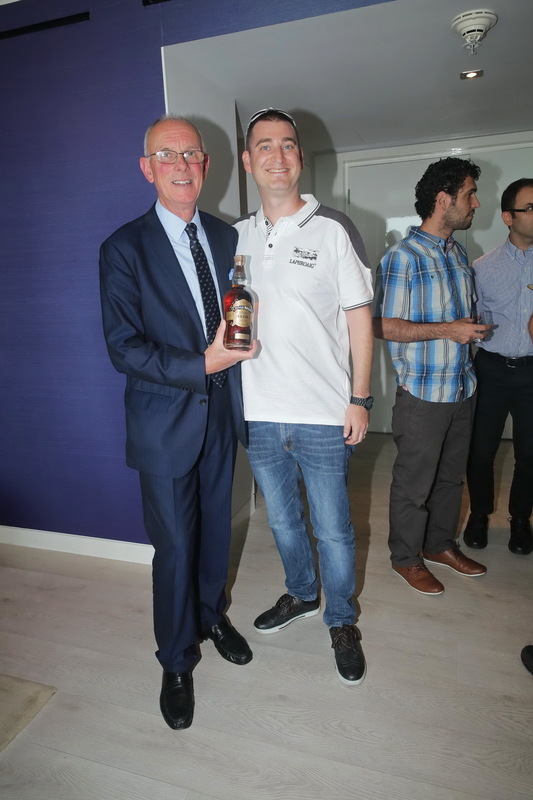 As it happens, Colin Scott (former Chivas master blender, and now custodian master blender at Chivas) arrived to present the new whisky to the local market, and I was very happy to accept an invitation for a non formal tasting event, food and conversation with Colin, a whisky legend who’s been working at chivas bros. for 43! years, lovely. The Blended malt segment has been on fire in recent years (with JW green label bein out there for a long time, enough time to be discontinued and the re-installed as a NAS bledned malt), there are many blended malts on offer from independent bottlers (such as D.Laing with their regional series, Compass Box with many offering etc..). This is a first for Chivas, and the right way to go IMHO, as Chivas tries to expand beyond Blended whiskies, with a first offering. We stared with an old fashioned made from Chivas 12 talking whisky with Colin, who we found to be a great conversation companion, and a jolly nice man: as you can expect, Colin has many stories and vast knowledge from his 43 year spanning career in the whisky industry, which he shared willingly, a truly inspiring experience. 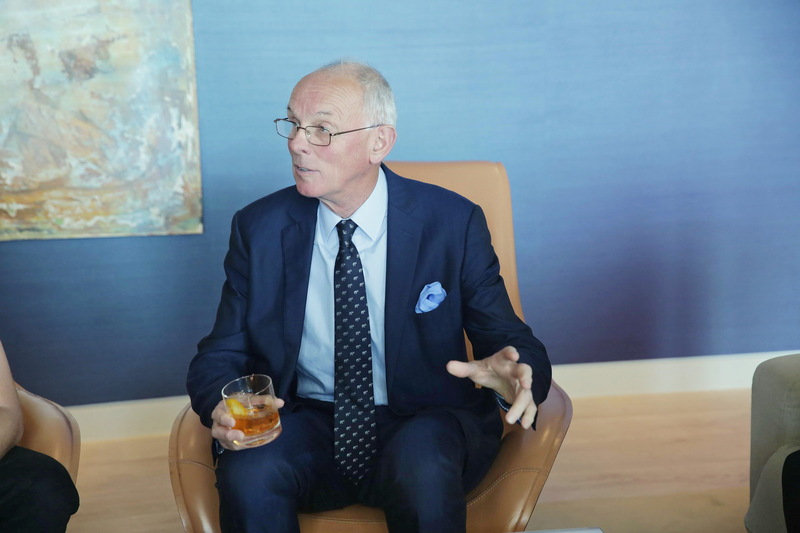 It’s clear Colin lives and breathes whisky, and loves what he’s been doing for so long. Nose: Fruity at first, with mainly apple, and peach. There’s a nice vanilla note coming on, with a honeyed and spiced (cinnamon, clove) note, as well as citrus (clementine) and some candied orange peel. Palate: Quite silky , with vanilla and stewed fruit: peaches, pears and apples, a nice maltiness and clove/cinnamon with chocolate covered orange peel. Finish : Candied orange peel, dark chocolate and caramel. I was pleasantly surprised, as this was a very nice blended malt indeed. 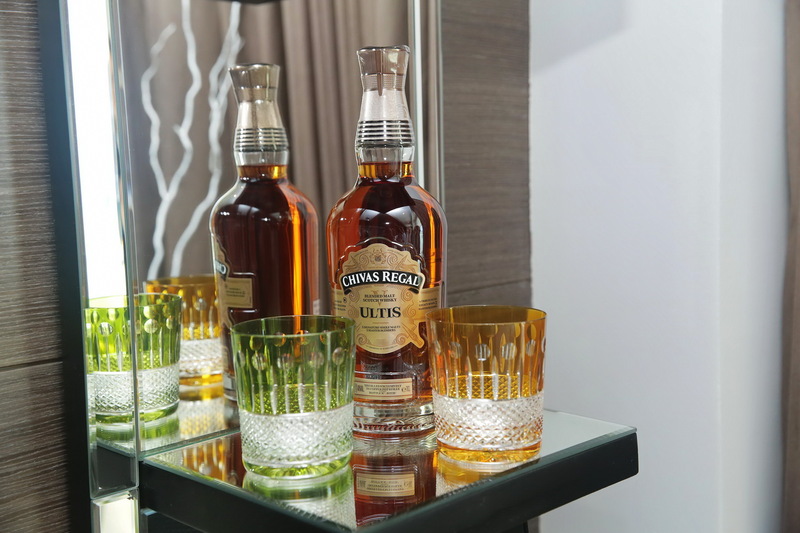 well-played Chivas, and although this is not a cheap whisky, they are clearly aiming at the luxury segment, with an impressive bottle and packaging. 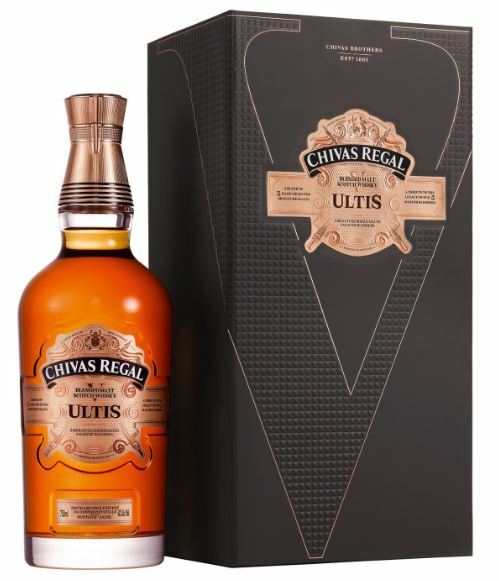 This might appeal to old school premium blend drinkers looking to expand into the single malt segment, while still connected to a well-known and respected whisky house such as Chivas. It’s not quite aimed at the single malt lover, but a very welcome addition to the range.